Have a smartphone or tablet? 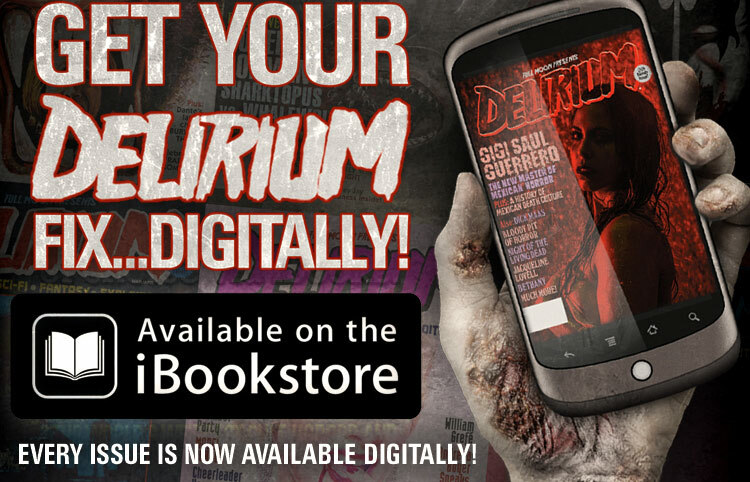 Read Delirium anywhere, anytime for only $3.99/Issue! To tie into the release of our awesome The Empire Pictures Blu-ray Collection box set, DELIRIUM #14 dials back the clock to celebrate the late, great Empire Pictures and all the amazing movies from that era. Stuff like From Beyond, Re-Animator, Troll, Ghoulies, Eliminators, Terrorvision...the list is long and crazy awesome. These purposeful “B movies” were made with healthy budgets and solid production values, often with top drawer International talent behind and in front of the scenes. We’re super excited to be presenting this special, beautiful magazine – with 16 pages of Empire goodness inside - to all of you fellow fans who lovingly remember these fantastic films as fondly as we do. Elsewhere in this mag, the great Gary Sherman muses on the making of his 1972 classic Death Line, Werner Herzog talks about his new films, Walter Hill talks about The Assignment, we have a look at HOUSE IV and so much more. Dig in! 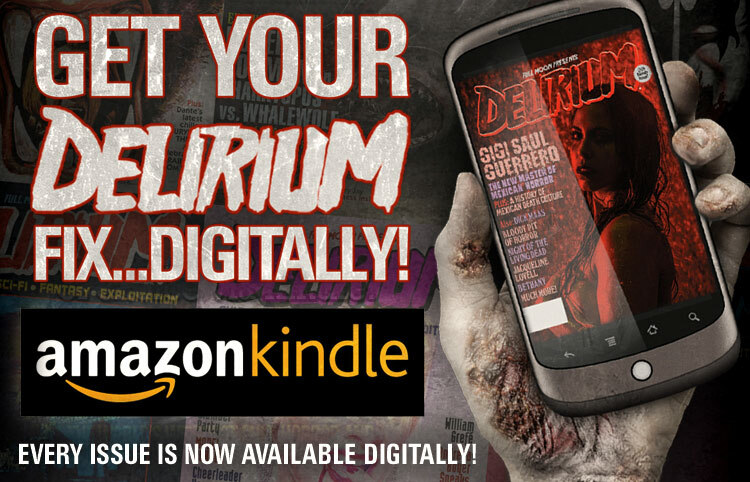 Get DELIRIUM and get delirious today!